Hatke, B. (2010). Zita the spacegirl. Book one, Far from home. New York, NY: First Second. Hatke, B. (2012). Legends of Zita the spacegirl. New York, NY: First Second. 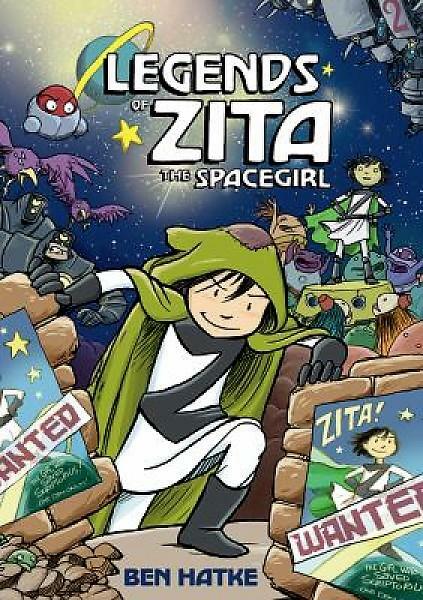 Ben Hatke’s Zita the Spacegirl. Book One, Far From Home, a human girl from earth finds an alien device with a big red button on it, pushes it, opens a space portal and her friend Joseph is pulled through and Zita follows immediately after. After arriving on bizarre planet about to be destroyed in which Joseph has been chosen as a sacrifice in attempt to save their fate, Zita sets out to save her friend. Along the way she makes friends with a sweet Uglydoll resembling alien, a defective floating battle robot, a mouse that communicated via ticker tape, and a flute playing man named Piper. Zita saves her friend Joseph when she unintentionally saves the planted from doom, is given the title of savior and hero. Zita is unable to return with her friend back to Earth and her journey continue in Legend of Zita the Spacegirl as she with her new friends searches for a way back to earth and finds her new found fame overwhelming, has her identity stolen by an identical looking adventure seeking robot, is credited for saving yet another planet, is labeled as a criminal, is given a living spaceship, makes a few new adorable friends, and of course still doesn’t return back home to Earth. Hatke’s illustrations are simplistic, captivating, enjoyable, and futuristic. They delightfully capture all the fast-paced action, and the captions and pictures perfectly complement one another. This is a story of friendship, survival, adaptation, and of course, loads of extraterrestrial humor. The character and storyline is ingeniously creative, aesthetically pleasing, charming, and highly imaginative. The text frequently uses alien specific dialect and inventive word play. 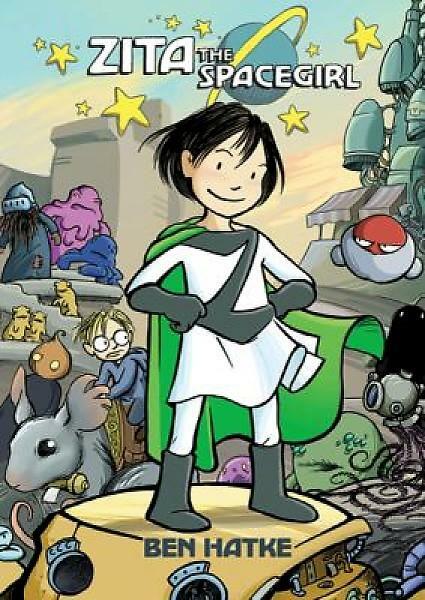 Fans of Bones by Jeff Smith, Missile Mouse by Jake Parker, Amulet by Kazu Kibuishi, and any tween science-fiction fan will love Ben Hatke’s Zita the Spacegirl graphic novels.